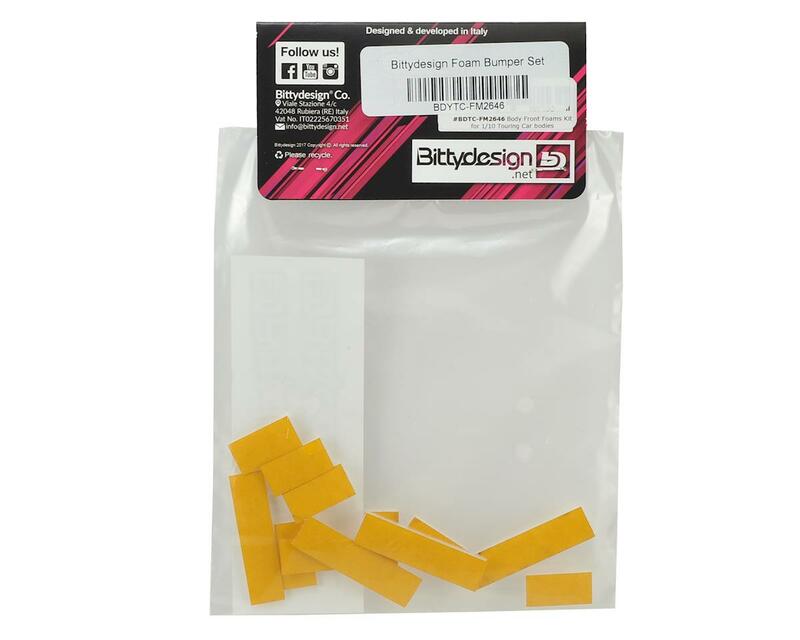 The Bittydesigns Foam Kit is a practical accessory ideal for the perfect preparation of any touring car body. 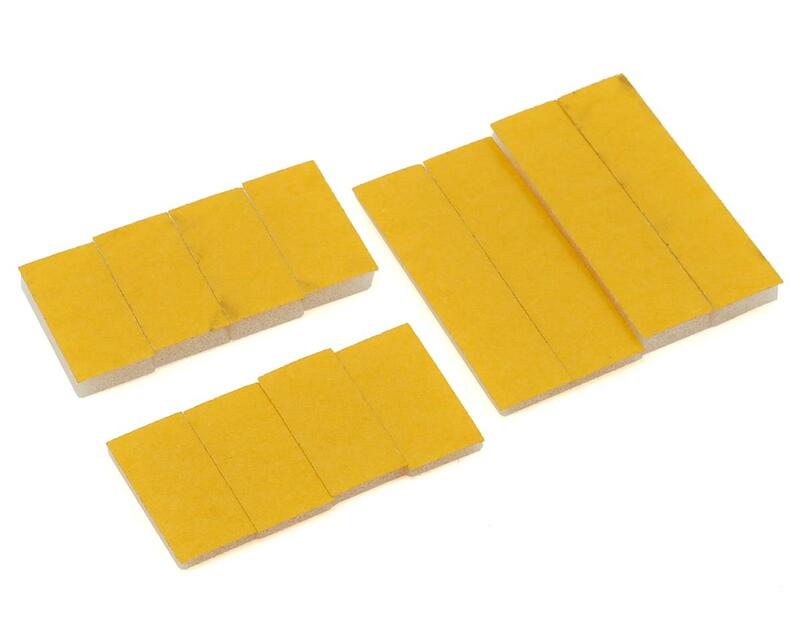 As shown in the video, the foams are used to reduce body vibration from its distance with the front bumper, the kit includes 4 foams (2 and 4mm thick) for the center and 8 smaller foams (2 and 4 mmthick ) for the sides - enough to layer the foam between them to reach the desired thickness. Not only should the foams be applied to reduce vibration, but they will also help to increase the life of the body because they help absorb crash energy and reduce the breaking point of the front wheel arches.